Taking Business Class Even Higher. Business class seats have always offered an exceptional physical experience. 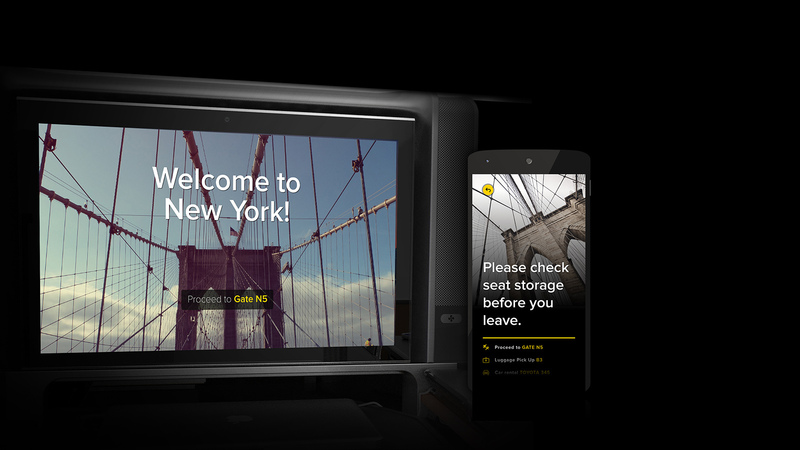 But the physical experience—the hardware—is only half the equation now. 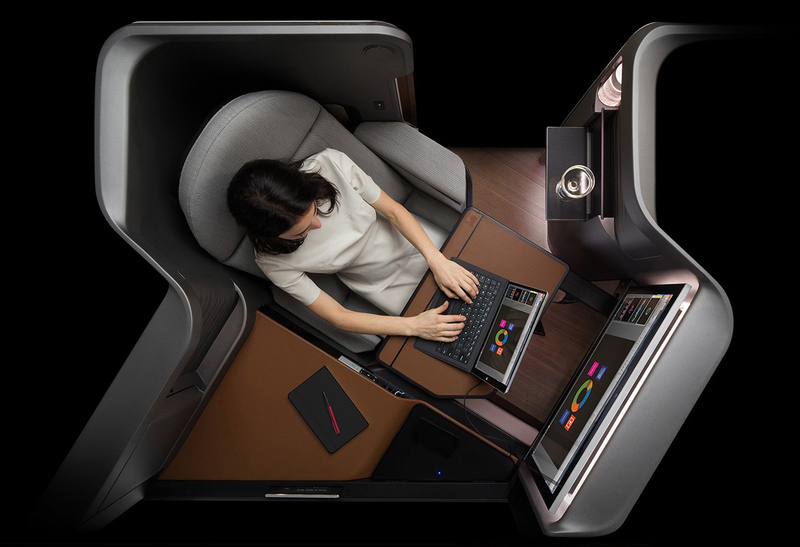 So we collaboratively designed a next-generation business class seat that cohesively unifies both physical and digital touch points. 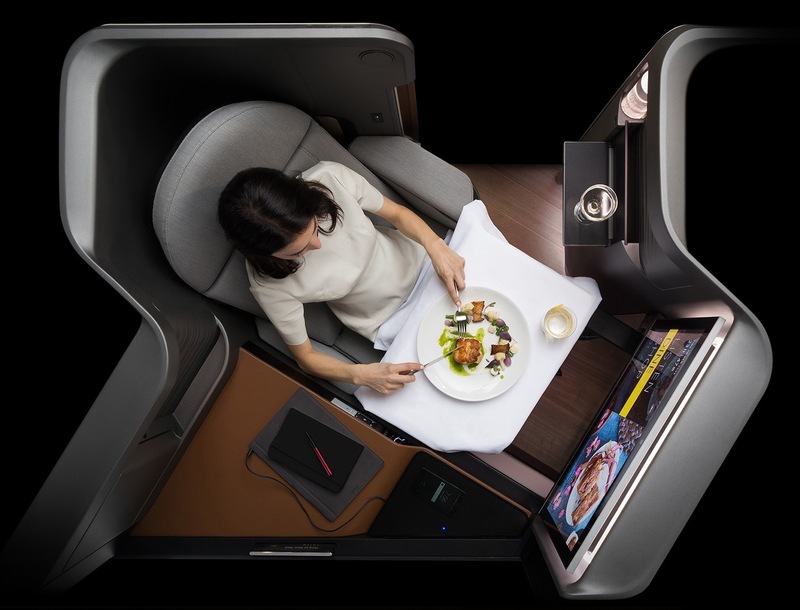 Waterfront is the first business class seat to offer every passenger direct aisle access in a high-density seating configuration and the first to offer individual temperature controls. These firsts are complemented further through a novel seat mechanism that provides infinite adjustability to head, leg, and back-rest settings for a truly personalized fit. 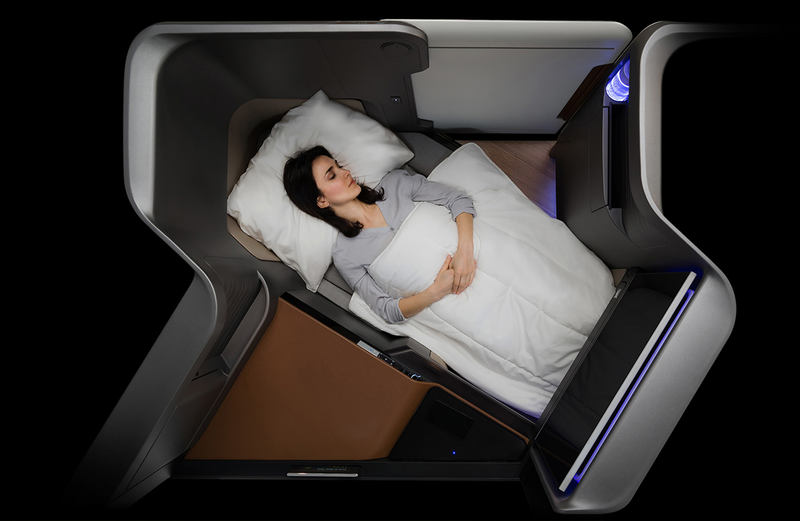 The seat is also designed to move seamlessly between different positions based on the passenger’s activities, from a fully upright position optimized for working or dining to a 79-inch lie-flat bed, with full-spectrum LED lighting automatically adjusting to each position. 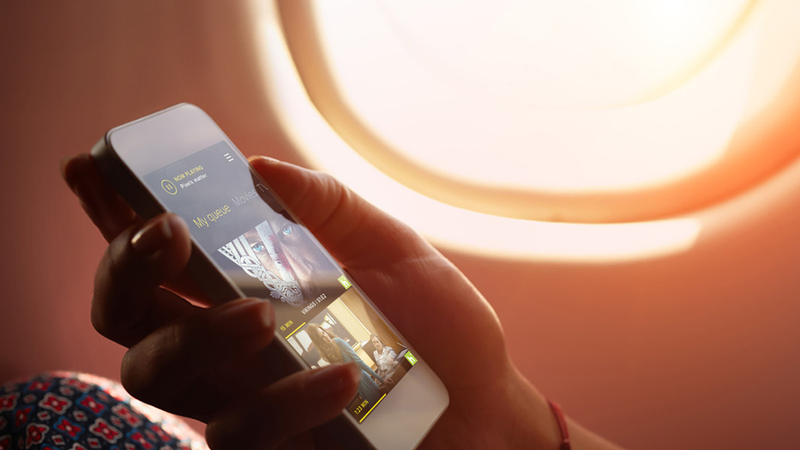 Waterfront also considers every aspect of the passenger’s digital experience. 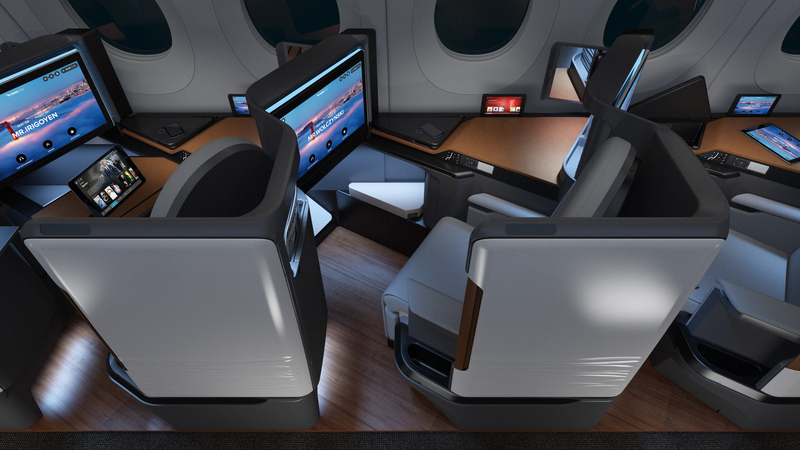 The seat features a best-in-class inflight entertainment and connectivity system with an unprecedented 24-inch 4K touchscreen in an edge-to-edge glass structure. 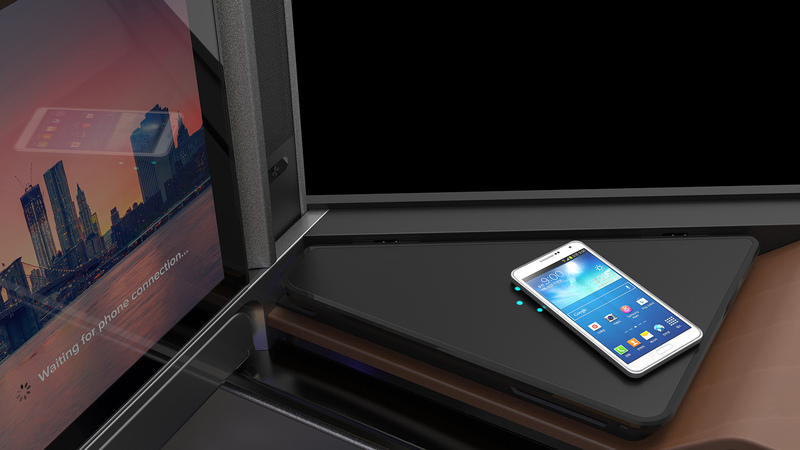 Charging stations for personal devices are fully integrated into the design through a connectivity-rich “sandbox”; AC power, inductive charging, and multiple USB ports are all available. 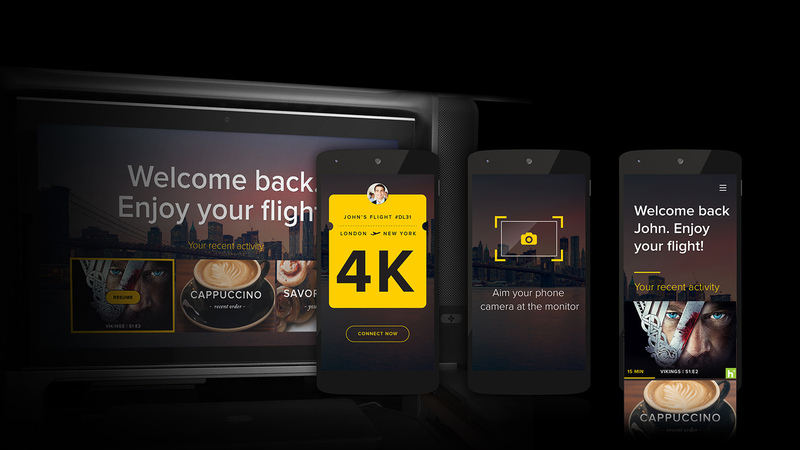 Personal devices brought onboard by passengers are also supported by Bluetooth 4.0 and NFC, allowing seamless integration with the 4K display.